Geometric Cuff with 24 round faceted Moonstones. Geometric Cuff with 24 pieces 5 mm round faceted Moonstones. 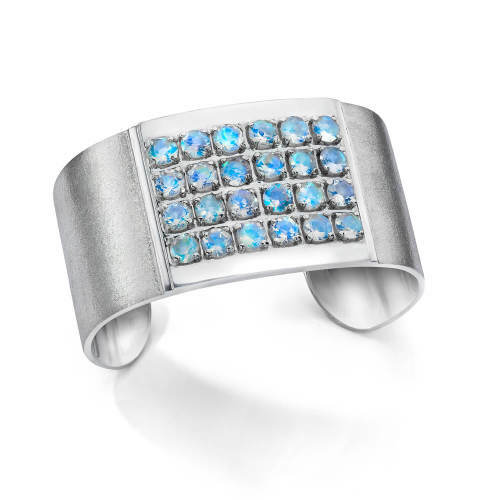 Sterling Silver Cuff, Satin Finish, 24 high quality 5 mm round faceted Moonstones, 10.98 ct.